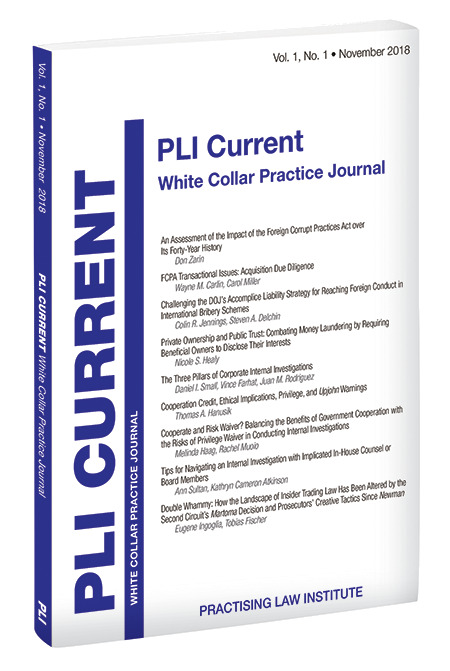 PLI Current: White Collar Practice Journal is the first in a series of new journals from PLI Press dedicated to coverage of key practice areas. This new journal features original articles that offer commentary, analysis, and practice-based insights related to developments in the area of financial crimes and related issues. These articles are written by leading experts in this field, including practicing attorneys, judges, scholars, and others, and featuring PLI’s highly acclaimed authors and CLE faculty members. White Collar Practice Journal will be published at least twice a year.